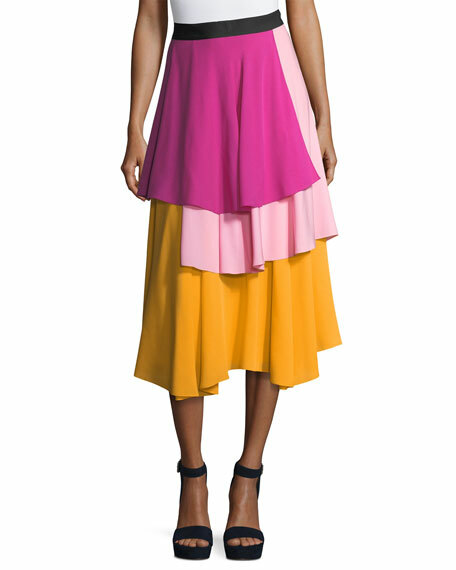 Novis "The York" colorblock skirt. For in-store inquiries, use sku #2283676. 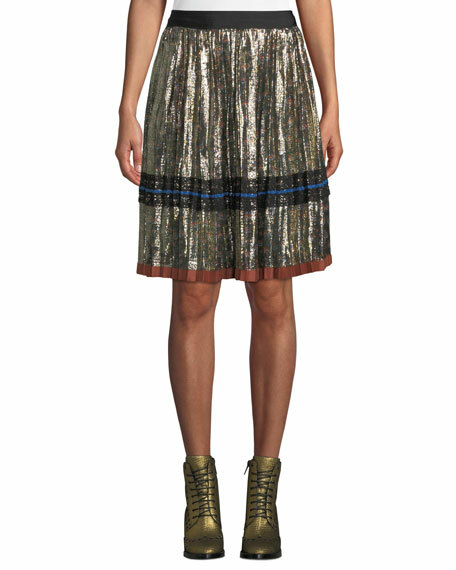 Brandon Maxwell woven skirt, featuring embroidered pineapple-sequin design. Sits at natural waist. Straight silhouette. Hidden back zip. Maxi length. 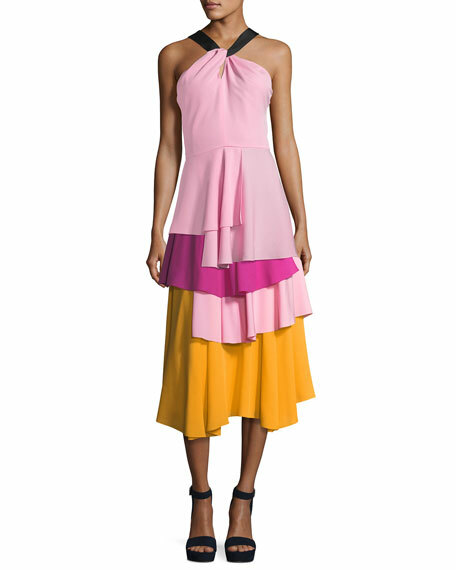 Center back hem slit. 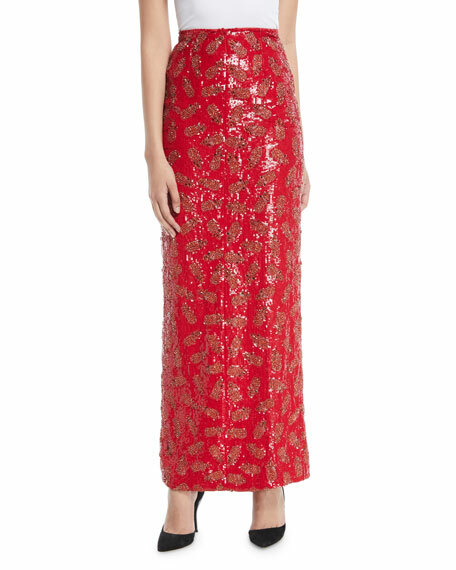 Polyester; organza silk. Imported. 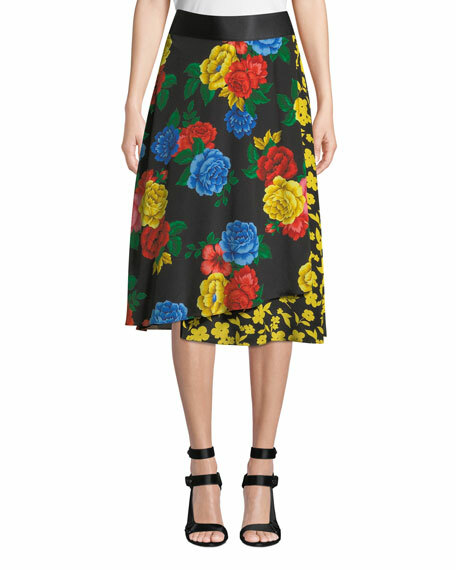 Diane von Furstenberg skirt. Approx. 32"L from waist to hem. Sits below natural waist. Pencil silhouette. Hidden back zip. Center back slit. 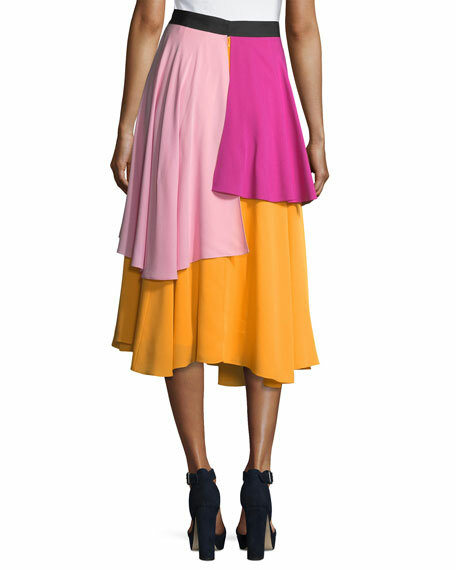 Viscose/silk/spandex. Dry clean. Imported.